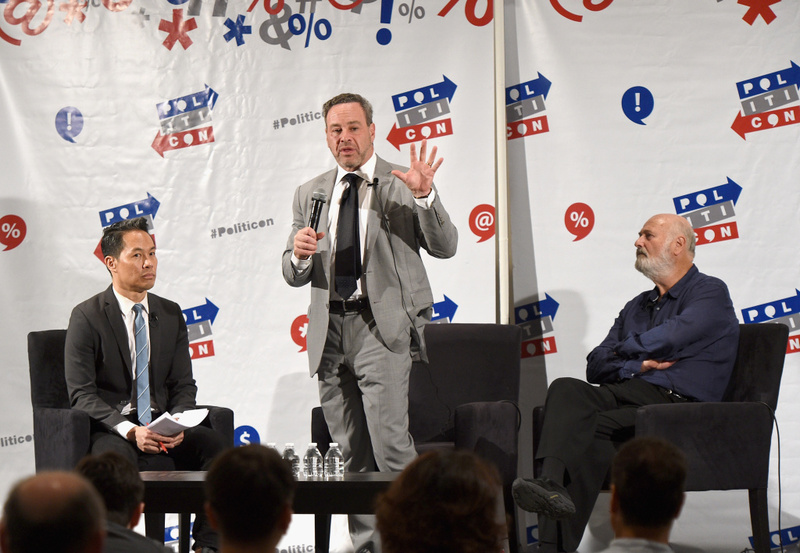 Richard Lui, David Frum, and Rob Reiner at Russias Attack on our Democracy panel during Politicon at Pasadena Convention Center on July 29, 2017 in Pasadena, California. While media coverage continues to batter and bruise every single tweet, statement and on or off-the-record conversation with President Donald J. Trump, conservative writer David Frum has set his attention on Trump’s growing power — both in and outside the White House. 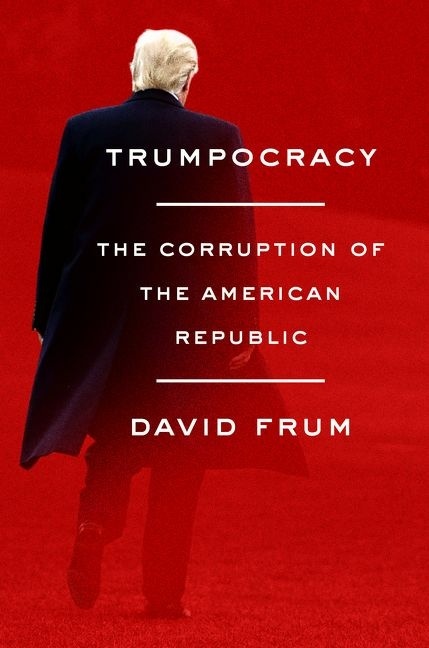 In his latest book, “Trumpocracy: The Corruption of the American Republic,” Frum argues that democracy is under irrevocable threat in the United States and that our institutions have failed to protect it against the current administration. Staunch Republican and former speechwriter for George W. Bush, Frum details why Trump’s first year in office has weakened the traditional limits of the presidency with lies, corruption and negligence in a way more subtle and dangerous than most analysts, left or right, have noticed. Larry Mantle speaks with the longtime journalist about the book and what Frum hopes his study of “Trumpocracy” accomplishes.